Director/producer/independent reporter Kempton Lam has made three full-length documentaries from 2004 – 2015. Kempton’s debut documentary Long Hair Revolution 「長毛革命」 has been collected by the Canadian National Archive since 2009. 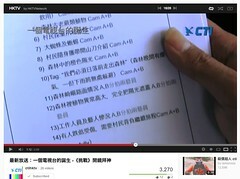 The three documentaries are collectively known as “Revolution Trilogy” 「革命三部曲」 and are in Cantonese with English subtitles (廣東話、英文字幕). You can watch the three films at this YouTube Playlist (beautifully projected on your big screen HDTV or on your computer). Enjoy! 2013/10/27 訪問蔡錦源港視前高級編導 This is my Cantonese interview with Horatio Tsoi, former HKTV documentary producer/director. I LOVED & enjoyed the chance to ask Tommy Hilfiger @tommyhilfiger a question. (Tommy’s Facebook) And then it turned into an super #epic moment for me to see Tommy defending my “Fashion Honour” at Fox LA Google+ Hangout! 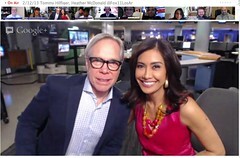 Thanks +Maria Quiban +Tony McEwing +FOX 11 Los Angeles for the #awesome hangout! Following are four of my comments.